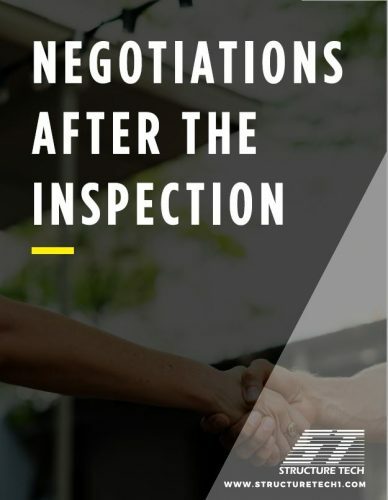 Negotiations often take place after a home inspection, and the home inspector frequently gets put in the middle of it. The role of a home inspector is never to decide what should or shouldn’t be negotiated as part of a home purchase, assuming anything gets negotiated. That’s a job for the real estate agent. Today, I’m re-blogging about negotiations after the inspection. I did a three-part series on this many years ago, but I’ve combined those three into a single post, and I’ve compiled this information into a downloadable pdf at the bottom of this post. My vision is for real estate agents to use this document as a guide to negotiations after the inspection. If you agree with this post, please share it. If you don’t, please leave a comment. Thank you! Before a home buyer even has a home inspection, it’s important to know what the home inspection is all about. A home buyer hires a home inspector to learn about the home, and the inspection report is the document that the buyer is left with, detailing the results of the inspection. The inspection report is not a repair list for the seller, nor is it a stick to beat the seller with on price. Most home inspection reports will have a large list of recommendations, typically for improvements, repairs, and safety upgrades. This is normal for a used house. With this option, the buyer can hire their own professionals to do the work, and they can oversee the whole project after they own the house. This is a common approach, but it’ s not always a practical approach because it doesn’t leave the new home buyers with any cash to pay for repairs. This typically happens when the buyer decides there are too many issues with the house, or the issues are greater than what the buyer wants to deal with or when buyers and sellers can’t come to an agreement. When asking a seller to perform repairs, it’s important to be specific. Say exactly what should be done, by whom, permits pulled, inspected, and approved, when the work should be completed by, and documentation provided to the buyer by a certain date. This is often the best option for buyers. When buying a used home, buyers shouldn’t expect things to be perfect, because they never are. Walls get damaged, showers leak, appliances fail without notice. This doesn’t mean buyers shouldn’t address defects after they’ve bought the house, but it’s unrealistic to expect sellers of used houses to fix every little defect. Asking sellers to address a long list of minor repairs will make the seller feel defensive about their home and make the buyers look petty. We at Structure Tech are not real estate agents nor attorneys, so this is not real estate advice or legal advice. These are our opinions. We don’t share these opinions on negotiations during home inspections, nor do we share them in our inspection reports. This is completely outside the realm of a home inspection, and honestly, it’s outside the realm of our area of expertise. Nevertheless, we certainly have opinions about this stuff. The following is a list of things that we generally feel should not be negotiation items as a result of a home inspection. If any of these are going to be negotiation items, they should be negotiated before the inspection. On the other hand, if a home seller advertises a “new” feature, but that information is not accurate, that would be a completely different story. Also, if a home buyer discovers numerous items at the end of their life and they know they won’t be able to afford replacements soon, they might decide that the home they’re buying isn’t the right one for them… unless perhaps the seller would like to help out. It’ s not unreasonable to renegotiate at this point, but a price negotiation typically won’t help a buyer, because this doesn’t give the buyer any more cash to deal with repairs or replacements. Of course, there are always exceptions. If new work was performed at a home and advertised as such, it’s only fair to expect the work to be done properly. In closing, if a home seller is already upset because they’re selling their house for less than they wanted, they won’t be happy to receive a list of small chores from a home buyer in the form of a purchase agreement amendment. This can be the straw that breaks the camel’s back, leading to the deal falling apart. We hate to see this happen because items that cost hundreds of dollars to fix should never hold up the sale of a property that costs hundreds of thousands of dollars. Our advice to home buyers is to not put yourself in that position. Treat the home purchase like a relationship; do you want to be right, or do you want to be happy? Let the little stuff go. any of these things are unreasonable. What all of these items have in common is that they’re usually expensive, not obvious, or take special knowledge to recognize. Why do we mention roof coverings at the end of their life as a reasonable negotiation item, but excluded old appliances in part 2? Because appliances can be replaced after they fail. Roof coverings should be replaced before they fail. Active leaks – water piping, gas piping, drains, vents, etc. Moisture or frost in the attic, and/or major ice dam issues. The fix for both of these is to address attic air leaks, insulation, and sometimes attic ventilation. While adding insulation is generally considered an upgrade, if insufficient insulation and attic air leaks are leading to water problems, we consider this to be a repair, not an upgrade. There are many other possible items, but this list makes up most of the ‘big’ items that get identified during home inspections. Thank you for reading. If you’d like a printable copy of this blog post in a pdf format, please click on the image at right. Great article. What do you think of an inspection report that includes the following? I’m curious as to how he confirmed insufficient combustion air. Is there a particular test for this that a home inspector normally does? FYI, a previous inspection 9 years ago made no mention of this. CAPACITY OF UNIT: 60,000 BTU. expense. Furnace / air handler average life expectancy is 15 – 20 years. No signs of recent / regular servicing. input rating of all equipment in the enclosure, and not less than 100 sq. in. each. Corrosion is noted at the vent pipe. Monitor in the future. Hi Jason, you’d need to ask the original home inspector to know for sure. I’m guessing that the furnace was located in an enclosed space with no combustion air, and the home inspector took note of this. I’m guessing that no calculations took place; it was a simple assessment. That that we do here at Structure Tech, and we stand behind our recommendations. In our market almost all loans are VA, FHA or USDA. Peeling exterior paint will kill the loan. And, for USDA Direct, missing electrical plate covers will also kill the loan among other items on your list not to be negotiated. A buyer’s agent needs to be familiar with the general condition issues that can kill their buyer’s loan and should ask for those repairs before the appraiser does the report. Appraisals are running so late now that waiting on the appraiser and then finding out that the seller has to paint the exterior of the house within a week is unreasonable. Nice work Reuben. There are many inspectors that should read this in its entirety, as well! This article is spot on and realistic and sure helps the parties navigate the murky waters of whats important and reasonable to negotiate after the inspection. Ruben, You are out of line, regarding how to negotiate after an inspection. I assume that Real Estate agents should now tell home inspectors how to inspect a house? Does this change how you feel? 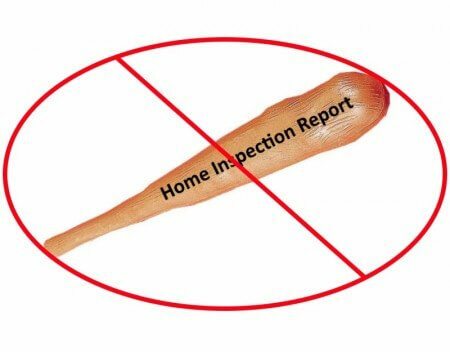 If you decided to write an opinion piece on things that home inspectors should and should not say during a home inspection, I would certainly enjoy reading it. I would surely learn from it, and I might even do things differently after reading it. It’s possible that I might not agree with everything you wrote, and I’m sure you’d be open to having a discussion about it, right? Larry, you must be a realtor that has been burned when a major fault was discovered when you didn’t want it to be – or – you just read the headline. I enjoy your blog. Could you please consider discussing new construction design features such as multiple gables/roof lines, fake windows in attics and mix of building materials? I suspect they eventually become points of failure and would appreciate your opinion. Excellent as always ! Sharing with clients and past clients momentarily! Ruben, several months ago you had a piece on attic insulation and the importance of hiring a great company to look at venting, etc. you listed 2 companies in the twin cities you would recommend . Can you give me the names again? I need to hire someone to check out our attic .